Lean Lab Approach - how to implement it? Watch webinar now. 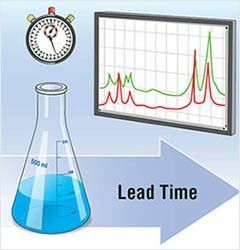 Lean Lab approach helps when your lab workloads are too high to handle or lead times are being exceeded. 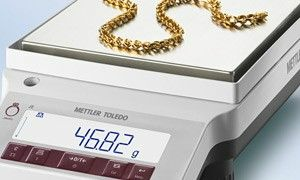 Before you invest in new resources – such as equipment, premises, or personnel – consider implementing "lean laboratory" methods, which are being successfully adopted in many industries, including food, pharmaceutical, and chemical industries. 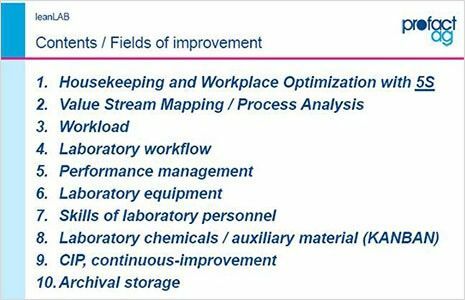 In this Part 1 of this Lean Lab approach webinar, Erwin Studer and Tobias Burkhardt introduce the basic concepts of Lean Laboratory and the 10 fields of improvement, which enable you to assess the current status of your lab and identify where processes can be optimized to improve efficiency. 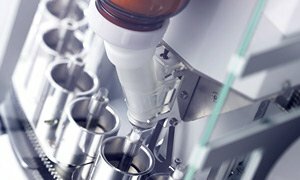 Examples are also given of Lean manufacturing in practice at Mettler Toledo GmbH. 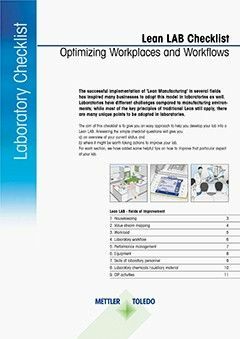 Lean manufacturing principles are increasingly being adopted in the laboratory environment. 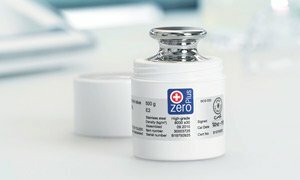 If Lean Laboratory is properly implemented, the results can be impressive, delivering simpler workflows and processes, reduced lead times, and increased laboratory efficiency. A lean laboratory is one which is focused on delivering high quality results in the most efficient way ̶ in terms of cost and/or speed ─ with the most efficient use of resources. 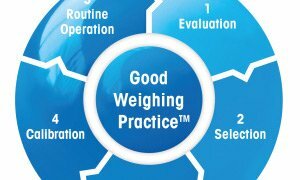 Applying a lean approach is essentially a process optimization exercise, aimed at improving the economic efficiency of an organization. 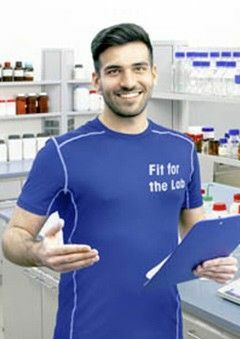 Where do I start with Lean Laboratory? This webinar "Employing a Lean Lab Approach to Optimize Lab Processes – Part 1: Work smarter, not harder" explains the considerations for implementation or optimization of Lean Lab processes, with practical examples. 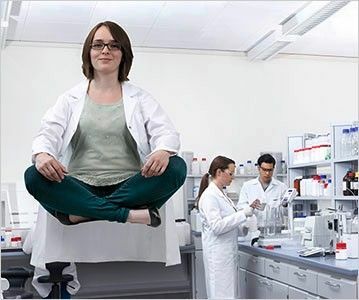 Significant improvements can be gained in an established laboratory, where optimization and standardization can be initiated in small steps (module-by-module) at any time, but it is also beneficial to consider lean in the design of a new building or laboratory. 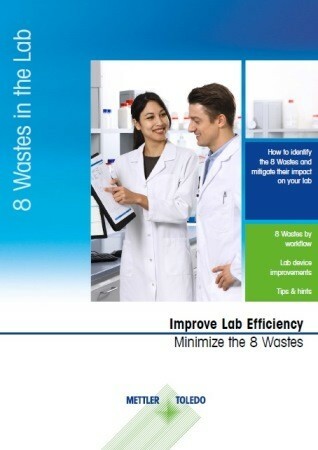 Learn how to better define, structure, and control laboratory processes to deliver more consistent and predictable laboratory performance. Understand the potential benefits of a lean lab approach: reduced lead time and costs; significantly increased productivity and right first time; detailed understanding of lab capacity and resourcing requirements. Use the 10 fields of improvement to assess your current situation and to guide the improvement of your processes. 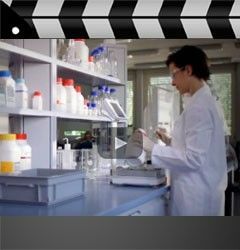 Note: Part 2 of this webinar Employing a Lean Lab Approach to Optimize Lab Processes. Part 2: Improve Productivity explores the concept of value stream mapping in more detail. Examples of how to identify unnecessary steps in an analytical workflow and how to visualize where issues exist are given.